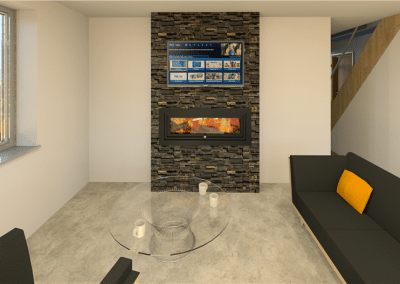 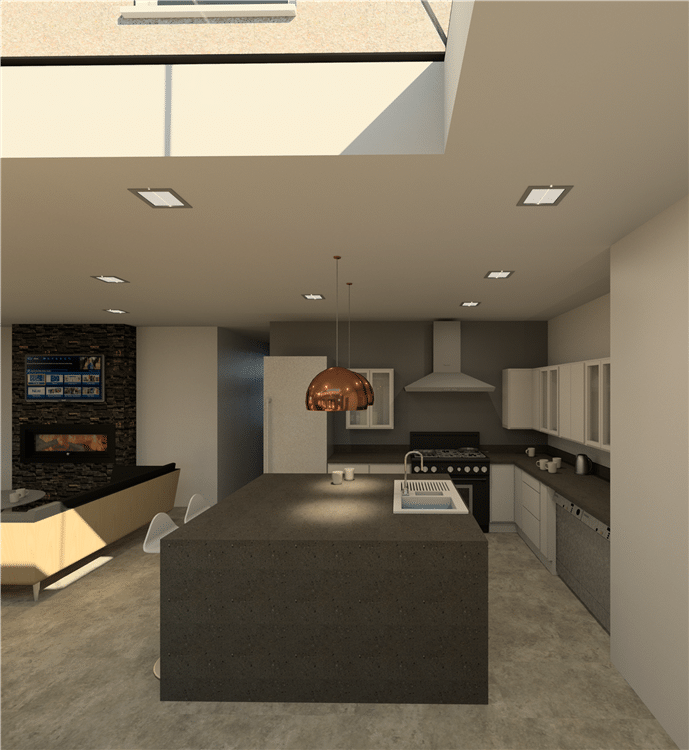 In this proposal the client decided to revert back more to the first modern proposal. This included a smaller kitchen with a square island unit and changed from bi-fold door to 3 sets of double opening patio doors. 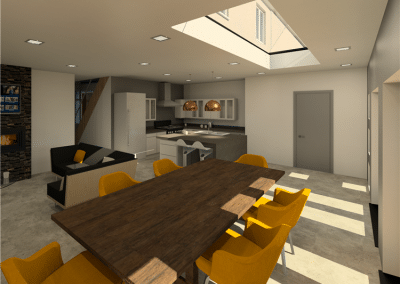 We also changed the exterior slightly by going with a new render system to the entire exterior with a stone capped parapet roof and a long pyramidal rooflight to allow daylight to enter the extension. 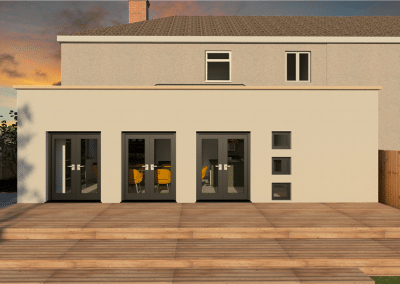 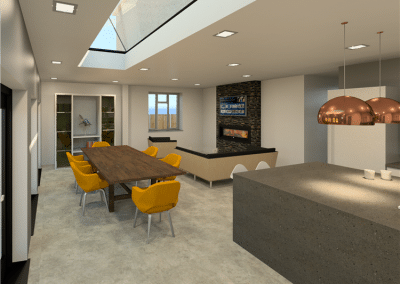 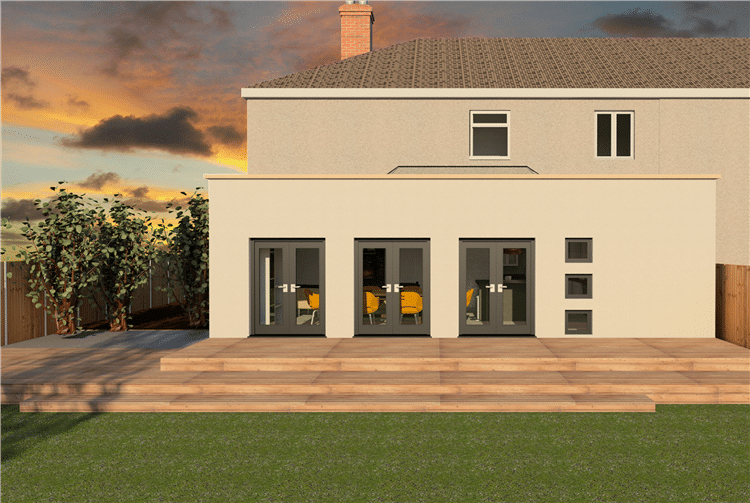 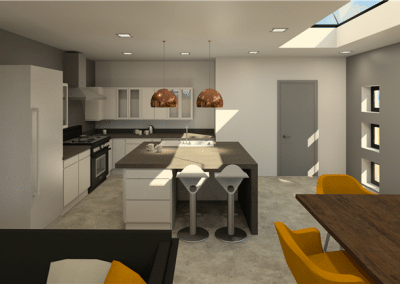 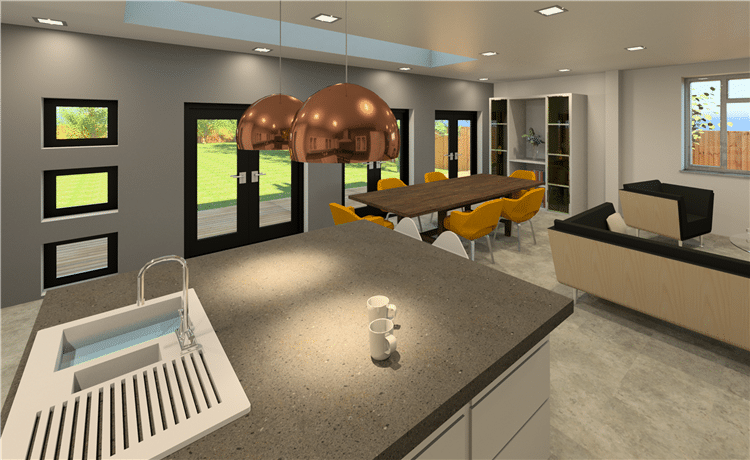 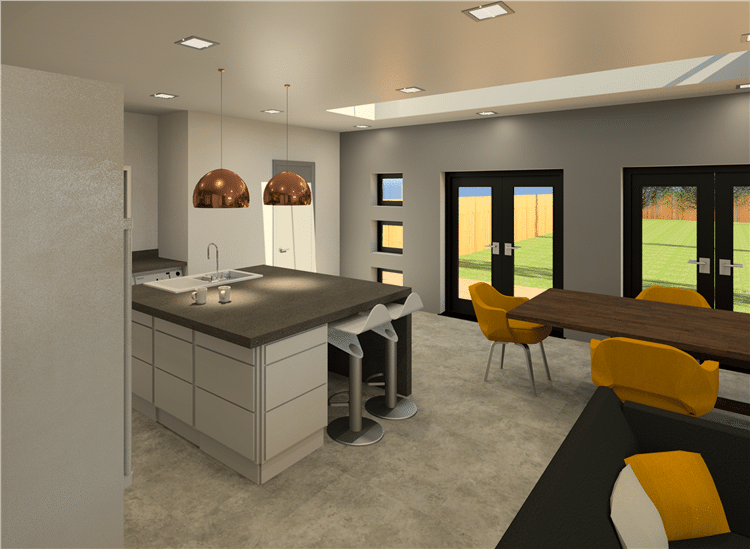 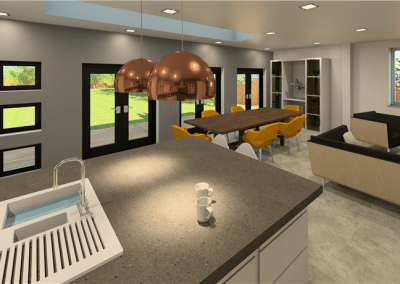 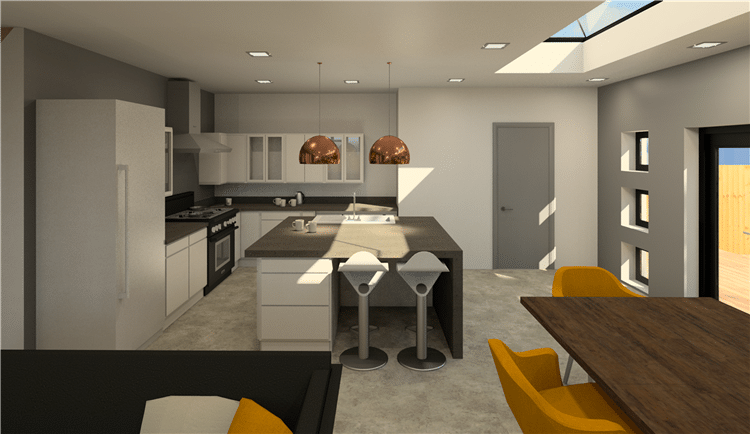 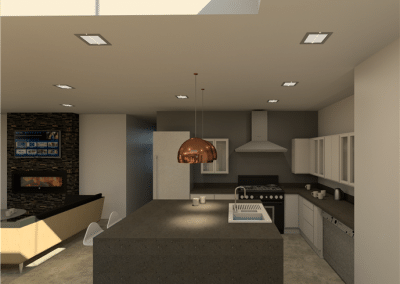 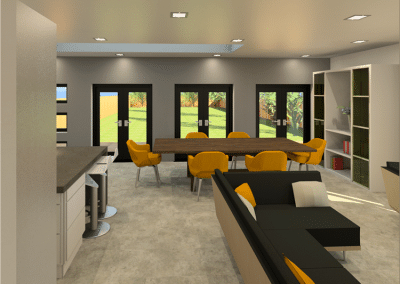 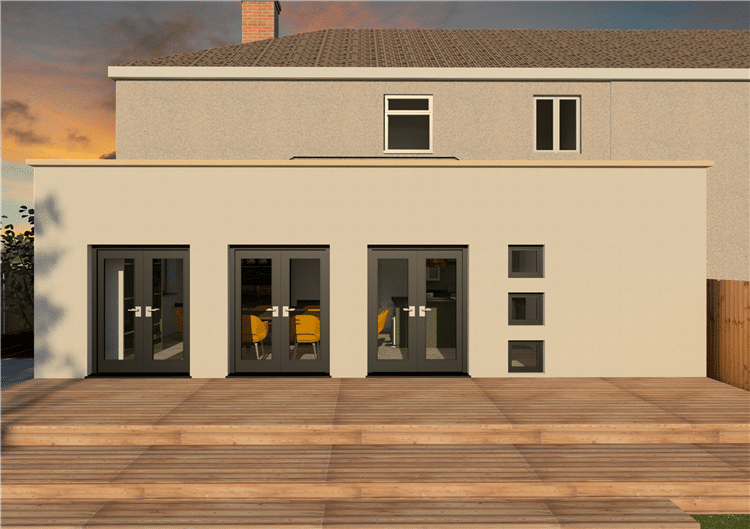 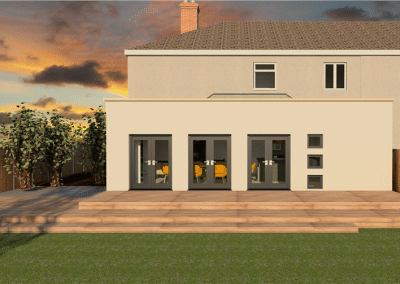 We really like this proposal and think that it creates a modern clean feel to the extension making it a subtle addition to the existing property.